You can now view professional users and companies by country of interest. You can filter those who are registered in Russia, Ukraine or other countries. 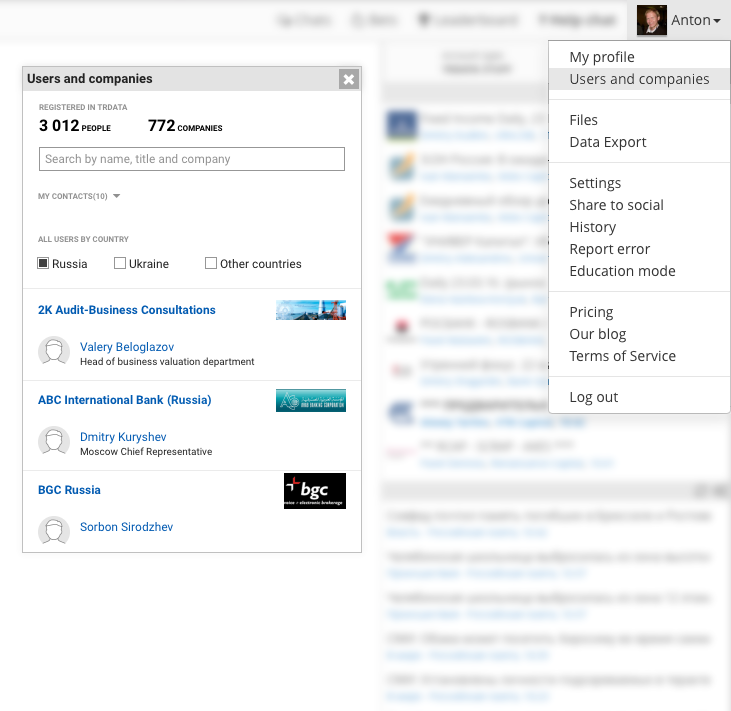 Now you can search for people directly by name, title or company. As a reminder, you can add users to your contacts list or open a chat dialogue by hovering over their name. Our recently updated user profile interface allows you to quickly view contact information. We hope you enjoy our new features. See you on the platform!